Our hair picks up so many things throughout the day that we aren’t even aware of. Things like bad smells, harmful UV rays, natural and unnatural oils as well as a variety of dirt and dust. We use shampoo and conditioner to restore our hair to its balanced healthy condition. The shampoo clears or rids the hair of any dirt and grease build-up to keep a healthy scalp and the conditioner protects the hair strands from further damage. When you start thinking about all the terrible things which may build up in your hair you almost want to start washing it every day. This isn’t the best solution as washing too often can dry out your scalp and damage the PH balance of your scalp too. Throwing a bunch of conditioner on isn’t going to help out your dry scalp either. The conditioner is working for the actual strands of your hair and less so greasing up your scalp. Starting to feel like you’re not using your shampoo and conditioner products properly? Well, check out below why and how to use these products to keep your hair and scalp happy and healthy. What makes my hair dirty? These refer to the oils produced by your body naturally. It has been rumored that not washing your hair can result in benefits from these natural oils, the opposite is true. A build-up causes irritation to the scalp and I’m not sure our Neanderthal cave sisters had the most luscious locks out, so let’s rethink that one and stick to a regular wash. In the office, on the streets, and at home, our hair is susceptible to various pollutants. These can include motor fumes, cigarette smoke, restaurant fumes, and endless dust. If you leave your hair to get a bit oily, you can think of it as a dust magnet. Hair sprays and dry shampoos may be a quick fix, but they are a recipe for long term damage to your scalp. They add extra weight to the hair pulling your hair down and damaging the follicle. Next time go for shampoo over a quick fix, your hair will thank you. Going to the gym, or a run in the park causes us to sweat, this can cause a greasy build-up in our hair. Even something as simple as getting caught in the rain will cause dirt to build-up and gather in our hair. Now that you understand the types of things which build up on your scalp and in your hair, you realize why shampoo is important. Still not convinced? Well, let’s look at what this build up does. The same way we care for our skin we should for our scalps. 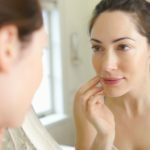 It’s easy to see the negative effects of dirt build upon our faces, as they come up in pimples and cause uneven skin tone. So why would we treat our scalp any different? As with our cleansers, toners, and moisturizers for our face, we need to clean our hair in order to restore balance on our scalps. Shampoo removes this build-up of oils dirt, air pollution, and other hair products to restore balance and health to our scalps. Think of your shampoo as the weekly or bi-weekly garbage removal. It has to be done but not too often. If you chose not to use shampoo, or to skip a few too many washes, you will begin to suffer from dry scalp and itchiness. Dry scalp and itchiness are caused by a build-up of the dirt and pollutants on the scalp. This build-up will throw off the PH balance of your scalp and it begins to become inflamed, itchy and even flaky. Again those words would send you running to shampoo every day, but this is not always healthy either. Washing every day can also dry out the scalp. The solution is to find a good balance of when to wash your hair depending on your activities and other products you use. With that find, the best shampoo for dry scalp and this should prevent you from any itch, flake or inflammation. When washing your hair make sure to do it properly. Massage the shampoo into the scalp to remove all traces of grime and build-up. 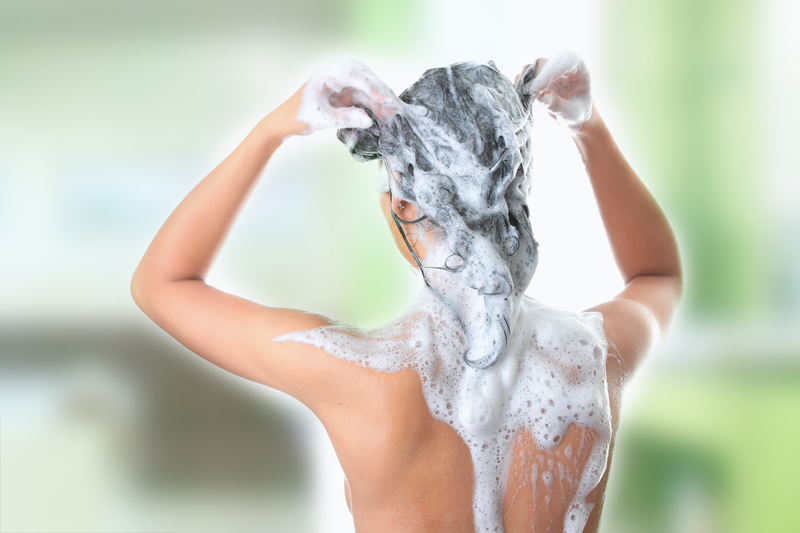 Remember to rinse thoroughly as leftover shampoo can cause your hair to become dirty faster. There is an awesome range of the best shampoo for dry scalp depending on your hair type. The sun is not only a danger to our faces and skin, but it is also harmful to our hair. The suns UVA and UVB rays can be harmful to our hair cuticle and leave the hair strand weak. As much as some days are great for hats, our sun hats won’t work in an office environment. Best is to limit your exposure to the sun as well as use a great conditioner. Styling and blow drying of your hair can also affect its health. Direct and prolonged heat, like blow drying, can weaken and make the hair strand brittle. This makes the hair easier to break when brushing causing unsightly split ends. If possible leave your hair to air dry and only blow dry to style the hair once it is dry. This decreases the amount of time you have the heat on your hair. Bleach, ammonia, and peroxides are all harmful to the health of our hair. These are harsh chemicals which break down the protein structure, known as keratin, in the hair and cause weak, brittle hair. If administered for too long they can also cause hair loss. Try to avoid using harmful hair dyes, there is a great range of ammonia-free dye or even natural henna dyes on the market. When brushing your hair you want to do it as gently as possible. If you pull on the hair strands too much when brushing you will damage and break the hair, causing weakness. This also applies to tie your hair up tightly. If your hair is pulled back very tight it will damage the strand as well as the nerve ending at the scalp. Brush your hair gently and slowly, if it is tangled try condition then comb out with a wide tooth comb. Try to avoid tightly tied back hair, not only is it bad for the hair, but it can also give you a headache. It is not realistic to avoid the sun, not to blow dry or straighten our hair and it is no fun to avoid dying our hair. What is the solution to steer clear of these harmful factors? Well, use them sparingly and condition your hair to provide protection and restore nutrients to the strands. Conditioning your hair not only protects the strands against everyday harmful elements but it also smooths out the strands preventing the hair from tangling. Some conditioners come with building proteins which restore lost proteins into the hair, keeping it strong and preventing breakage and brittle hair. We have covered why we should use conditioner in our hair, but how does it actually help the hair. As mentioned above it protects the strands against the harmful elements. Ok, but I rinse my conditioner out, how will it still protect my hair through the day? This is where we talk about the best leave-in conditioner for your hair. Yes, you can get some amazing conditioners which are specifically formulated to leave in all day to increase protection and hydration of the strands. Not a fan of the greased back look. Don’t worry leave-in conditioners don’t coat your hair with a grease back or oily finish, they have been scientifically formulated to work for your hair type. The leave-in conditioner is great as it will keep your hair smooth and untangled throughout the day, as well as keep in curls or a style, meaning you can skip a heat-intensive blow dry and replace it with a nutrient-rich conditioner. Leave-in conditioners also act against the risk of sun damage. The same way we don’t leave the house without an SPF on our faces we shouldn’t forget about our hair either. When conditioning, smooth the majority of the conditioner onto the strands and less on your scalp. Comb through your hair with a wide tooth comb, this prevents the hair from tearing and splitting. Want to know more about the best leave-in conditioners check out our comprehensive review on a bunch of fantastic products for your hair health. Still thinking about skipping that wash and reaching for dry shampoo? Well don’t, as quick and easy as dry shampoos seem to be, they add more grime to the mix, by coating the hair with an almost matte finish to get rid of the greasy debris. By taking a short cut you are only inviting further damage to your precious scalp and hair strands. We can’t walk around covering our hair avoiding every day, harmful elements, it’s just impractical. This is why we have these amazing health and beauty products to assist us in living our lives to the fullest and always looking and feeling our best while doing so.